More and more drivers are in the market for a Toyota hybrid but not everyone has the budget to invest in a new vehicle. Fortunately, you can find some great deals on used hybrids just like with traditional vehicles. In fact, the market for these vehicles is growing all the time and it gives consumers that wouldn’t normally be able to afford a hybrid a chance to own one. Still, some people may be a little concerned about buying a hybrid that is not new due to the advanced technology used in these vehicles. This is understandable but people trade them in on newer models all the time just like other vehicles. You shouldn’t hesitate to buy one because you’re worried that it might be something wrong with it. Taking your time and making sure the vehicle you’re interested in buying is still in good shape will ensure you’re getting a good deal and the following advice can help. Hybrids make up a big part of the used cars sold on the market today but many consumers hesitate to buy one because they are worried about having to replace expensive parts such as the battery. However, when taken care of properly, a Toyota hybrid can last for many years just like traditional vehicles. You just need to know what to look for to make sure you find a used vehicle that is still in great shape. Always buy from a qualified Toyota dealership. 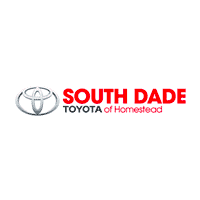 Here at South Dade Toyota in Miami, we have a nice selection of used vehicles to choose from. Feel free to browse around our site to see some of the options available. Check the overall condition of the vehicle inside and out. A general inspection can tell you a lot about how well the previous owner took care of the vehicle. Opt for a certified pre-owned vehicle if possible. These will still have a limited warranty that can provide extra peace of mind. Just be sure to find out exactly what the warranty covers. Check to find out if there are any recalls on the particular make and model you’re interested in buying. If so, find out if the necessary repairs were made. Don’t hesitate to buy a used hybrid because they’re a little more complicated than traditional vehicles. Just do your research and take your time to learn all you can about the vehicle before making a final decision. Before buying any used vehicle, check the history report. This will provide you with a lot of information that will help you make a good decision. You can check the history report using the VIN or vehicle identification number. This will tell you how many people owned the car, if it was ever involved in an accident or if it received other damage and so much more. Ask for receipts that prove the vehicle was serviced regularly and for any repairs that was done on the vehicle so you will know if it was taken care of properly. By learning the history of the vehicle, you can feel confident that your new, used Toyota hybrid is a good deal.